All performances will be at Herbst Theatre. Click HERE to purchase Early Bird subscription packages to our 2020 season in San Francisco. * Packages of 4 concerts minimum are available now. * The Early Bird Full Series is only $350 ($35 per concert). Single tickets will become available on Jan 1, 2020. HAYDN Quartet Op. 64 No. 5 "The Lark"
The Apollon Musagète Quartet cuts a striking presence on stage. They perform standing up and embody intense energy and dramatic expression of the music. Unlike many groups from Eastern Europe (they are Polish) they are very much at home in the central Viennese repertoire, having studied with members of the Alban Berg Quartet. Their first violinist is of soloist caliber and their performances are vivid, memorable and viscerally involving for the audience. After winning the Gold Medal at the prestigious ARD Competition, the group rapidly established itself on the European musical scene. The quartet was an ECHO Rising Star in 2010, which brought them to the leading European venues. It was a BBC New Generation Artist in 2012, and in 2014 the musicians received the Borletti-Buitoni Trust Award. Recent engagements have taken the quartet to the Concertgebouw Amsterdam, Konzerthaus and Philharmonie Berlin, Edinburgh International Festival, Wigmore Hall London, Carnegie Hall New York, Rheingau Musik Festival, Schwetzinger SWR Festspiele and to the Chopin and his Europe Festival in Warsaw. The 2018/19 season included engagements at the Auditori Barcelona, Bozar Brussels, Frauenkirche Dresden, Elbphilharmonie Hamburg, Gewandhaus Leipzig, Louvre Paris and at the Tonhalle Zurich. In summer 2019 the quartet begins its Schubert cycle for the Schubertiade in Austria. In June 2019 their Japan tour will bring them to locations such as Nagoya, Tokyo and Yokohama. The Apollon Musagète Quartet collaborates with such artists as Martin Fröst, Gabriela Montero and Jörg Widmann. They have appeared in symphonic series with the BBC National Orchestra of Wales, BBC Symphony Orchestra, Dresden Philharmonic and the Polish National Radio Symphony Orchestra. They welcome adventurous collaborations and have toured extensively with pop star Tori Amos, as well as working with the Berlin based performance group Nico and the Navigators, and also a ballet production of the National Theatre in Nuremberg. LENNON & MCCARTNEY "Let it Be"
Known for their adrenalized performances, original compositions, and notorious music videos, Greg Anderson and Elizabeth Joy Roe are revolutionizing the piano duo experience for the 21st century. Described as “rock stars of the classical music world” (Miami Herald), and “the very model of complete 21st-century musicians” (The Washington Post), the Anderson & Roe Piano Duo aims to make classical music a relevant and powerful force around the world. Their albums on the Steinway Label (When Words Fade, An Amadeus Affair, and The Art of Bach) were all released to critical acclaim and have spent dozens of weeks at the top of the Billboard Classical Charts, while their Emmy-nominated, self-produced music videos have been viewed by millions on YouTube and at international film festivals. Highlights of the 2017/18 season include recital and concerto appearances throughout North America (including their Kennedy Center debut), Europe, Asia, and New Zealand; the release of their latest album, Mother Muse; webcast hosting for the Van Cliburn International Piano Competition; and the introduction of a new music competition which will award the winning composer an Anderson & Roe-produced music video. Since forming their dynamic musical partnership in 2002 as students at The Juilliard School, the Anderson & Roe Piano Duo has appeared on NPR and MTV, toured extensively worldwide as recitalists and orchestral soloists, and presented at numerous international leader symposiums. A performance by the Duo was handpicked to appear on the Sounds of Juilliard CD celebrating the school’s centenary. Highlights of the 2016/17 season include tours throughout North America, Asia, and Europe; appearances with the San Francisco Symphony, the Royal Liverpool Philharmonic, the Chicago Sinfonietta, and more; and the DVD release of their ambitious—and literally explosive—music film, The Rite of Spring. Praised by Gramophone magazine for “his confident, entirely natural musicianship,” violinist Alexander Sitkovetsky was born in Moscow into a distinguished musical family which includes violinists Dmitri Sitkovetsky and Julian Sitkovetsky as well as pianist Bella Davidovich. At the age of eight he came to London to study at the Menuhin School. Lord Menuhin was his inspiration throughout his school years and they performed together on several occasions including the Bach Double Concerto and Bartok Duos at St James’ Palace, and Mr. Sitkovetsky played the Mendelssohn concerto under Menuhin’s baton. He has gone on to perform with the Netherlands Philharmonic, Royal Philharmonic, London Mozart Players, Konzerthaus Orchester Berlin, Brussels Philharmonic, Academy of St. Martin’s in the Fields, Moscow Chamber Orchestra, Stuttgart Chamber Orchestra, St Petersburg Symphony, Residentie Orkest The Hague, Camerata Zurich, the London Philharmonic Orchestra, Camerata Salzburg, the Welsh National Opera Orchestra, Munich Chamber Orchestra, New York Chamber Players, BBC Scottish Symphony Orchestra, Tokyo Symphony Orchestra, the Australian Chamber Orchestra and Orquesta Filarmónica de Bolivia, among many others. 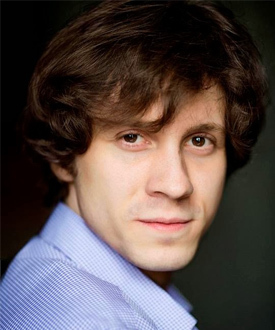 Alexander Sitkovetsky has appeared at festivals in Verbier, Kuhmo, Cheltenham and Lockenhaus. He has recorded for Angel/EMI, Decca, Orfeo, Onyx, BIS and Avanti Classics including the Bach Double Concerto with Julia Fischer. Chamber music is important to Mr. Sitkovetsky. 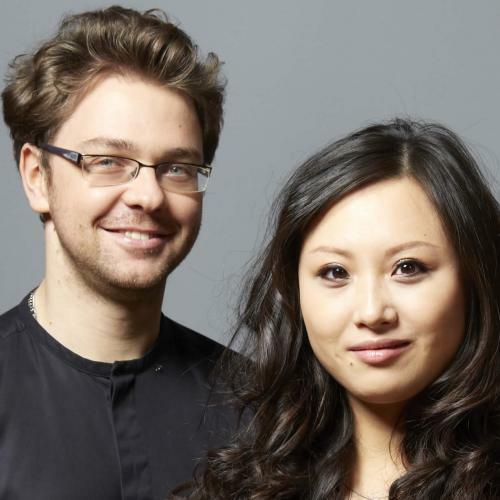 With pianist Wu Qian and cellist Leonard Elschenbroich he founded the Sitkovetsky Trio, which has won a number of important prizes has performed all over the UK and Europe including at the Frankfurt Alte Oper, the Concertgebouw in Amsterdam and Wigmore Hall in London. He also collaborates regularly with such artists as Janine Jansen, Maxim Rysanov, Misha Maisky, Natalie Clein, Eric Le Sage, Polina Leschenko and Julian Rachlin. Since 2012, he has played in Julia Fischer’s string quartet. Winner of a 2016 Lincoln Center Emerging Artist Award, pianist Wu Qian has appeared as soloist in such venues as Wigmore Hall, Royal Festival Hall, Amsterdam’s Concertgebouw, and the Kennedy Center. She has appeared with the Konzerthaus Orchester in Berlin, the Brussels Philharmonic, the London Mozart Players, I Virtuosi Italiani and the Munich Symphoniker. Her debut recording of Schumann, Liszt, and Alexander Prior was met with universal critical acclaim. Wu Qian an alumna of The Bowers Program (formerly CMS Two). With her vivid stage presence, musicianship and formidable technique, Russian-American pianist Olga Kern continues to captivate fans and critics alike. Born to a family of musicians with direct links to Tchaikovsky and Rachmaninoff, she jumpstarted her U.S. career by winning the Gold Medal at the Van Cliburn International Piano Competition. Ms. Kern tours regularly throughout Russia, Europe, the United States, Japan, South Africa and South Korea. She has performed with such orchestras as Tokyo’s NHK Symphony, the Royal Scottish National Orchestra, Orchestre National De Lyon, Orquestra Sinfônica do Estado de São Paulo, the Detroit Symphony and the Moscow, Pittsburgh and Cincinnati Symphonies. She gives solo recitals in Chicago, Zurich, Milan and Seattle, and alongside Renée Fleming and Kathleen Battle. She has performed in such venues as Carnegie Hall, the 92nd Street Y, Lincoln Center, the Great Hall of the Moscow Conservatory, Salzburger Festspielhaus, La Scala in Milan, Tonhalle in Zurich, and the Châtelet in Paris. Ms. Kern has many recordings. Her 2004 CD of Rachmaninoff works was nominated for a Grammy award, and her most recent release is the Rachmaninoff Cello Sonata with cellist Sol Gabetta. In 2016, she was Jury Chairman of both the Cliburn Amateur Piano Competition and the first Olga Kern International Piano Competition, where she also holds the title of Artistic Director. Ms. Kern frequently gives masterclasses and since 2017 has taught at the Manhattan School of Music. She served as Artist in Residence for the San Antonio Symphony’s 2017-18 season, and has been designated the Virginia Arts Festival’s Director of Chamber Music. Olga Kern is a Steinway Artist. French/Belgian Quatuor Danel has been at the forefront of the European music scene ever since its founding in 1991, with major concert performances worldwide and a number of groundbreaking recordings that have won important international awards. Although well established in Europe, the Quartet made its American debut only during the 2015-16 season, including concerts in New York and Washington, D.C.
With a sound suffused with warmth and romanticism, the ensemble is famous for their bold, concentrated interpretations of the string quartet cycles of Haydn, Beethoven, Schubert, Shostakovich, and Weinberg. Their performances of the traditional quartet repertoire have won them lavish praise from both public and the press. 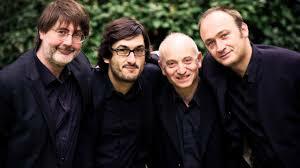 Russian composers have a special place in the Quatuor Danel’s repertoire. They have championed all string quartets by Shostakovich and recorded the complete cycle for Fuga Libera in 2005. This box-set was re-issued by Alpha and still counts as one of the benchmark interpretations of Shostakovich’ quartets. The Danel were the first quartet to record the 17 quartets by Mieczysław Weinberg. They were also the first to perform the complete Weinberg cycle, in Manchester and Utrecht. The Quatuor’s current diary includes the major concert halls in Brussels, Amsterdam, Paris, London, Madrid, Vienna, Hamburg, Milano, Taipei, Tokyo, New York, Washington, Los Angeles and San Francisco. They will perform the complete Shostakovich and Weinberg cycles at Wigmore Hall, Muziekgebouw Amsterdam, Utrecht and Philharmonie de Paris. They will stage complete Beethoven cycles in Jerusalem, Taipei, Lyon, Badenweiler, Manchester and finally in Utrecht. In 2016, the Quatuor Danel launched a three-year residency in Utrecht, consisting of concerts, masterclasses, lectures and unusual collaborations with other artists. Beginning in 2019, the Quatuor will embark on a three-year residency in Wigmore Hall. Thus, Mr. Blechacz won every prize it was possible to win. His coup in Warsaw electrified the musical world, and doors immediately opened for him at the world’s most prestigious concert halls. He has performed with such orchestras as London Philharmonic Orchestra, City of Birmingham Symphony, Orchestre de Paris, Mahler Chamber Orchestra, Deutsches Symphonie-Orchester Berlin, NDR Hamburg, Die Deutsche Kammerphilharmonie Bremen, Radio-Symphonieorchester Wien, Camerata Salzburg, Rotterdam Philharmonic, Orchestra dell’Accademia di Santa Cecilia and Tonhalle-Orchester Zurich. He gives recitals in such major halls as Philharmonie Berlin, Prinzregententheater in Munich, Salle Pleyel in Paris, Wigmore Hall, Concertgebouw Amsterdam, La Scala, Vienna Konzerthaus, and BOZAR in Brussels, as well as in New York, Boston, Atlanta, Vancouver, Tokyo, Korea, and Taiwan. In 2014 Blechacz capped his own achievements by earning the esteemed Gilmore Artist Award, which includes a $300,000 cash prize. 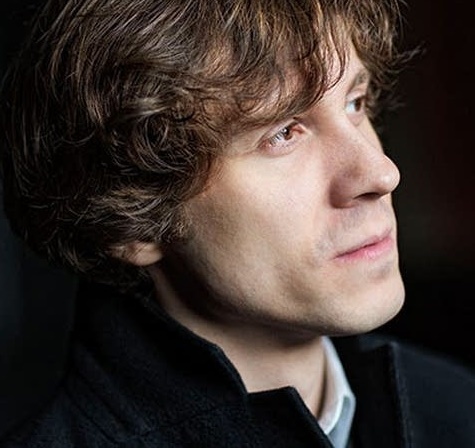 Rafał Blechacz records exclusively for Deutsche Grammophon. His debut CD of Chopin Preludes won Platinum Record status in his native Poland, as well as the German Echo Klassik and French Diaspason D’or. His recording of works by Debussy and Szymanowski was awarded “Recording of the Month” by Gramophone magazine, and “Solo Recording of the Year” by Echo Klassik. These were followed by recordings of Chopin Polonaises and, most recently, works by Bach. Each time we present this stunning artist, he sells out Herbst Theatre and the crowds go wild. Don’t miss his triumphant return in 2020! 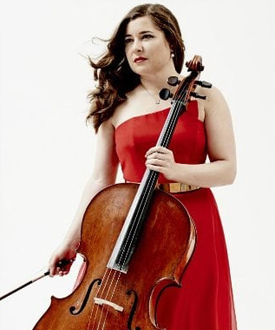 American-born cellist Alisa Weilerstein is known worldwide for her natural virtuosity, the intensity of her playing and the spontaneity and sensitivity of her interpretations. In 2010, she was invited by Daniel Barenboim and the Berlin Philharmonic to play the Elgar concerto. She has appeared with all of the major orchestras throughout the United States and Europe with such conductors as Gustavo Dudamel, Christoph Eschenbach, Paavo Järvi, Zubin Mehta, Yuri Temirkanov, Osmo Vänskä, Semyon Bychkov and Jaap van Zweden. She also appears at major music festivals throughout the world as a soloist, recitalist and as a chamber musician. In the 2018-19 season, Weilerstein releases Transfigured Night on the Pentatone label, including Schoenberg’s Verklärte Nacht, from which the album takes its title. She will tour Verklärte Nacht in two configurations: one with a string ensemble, and the other with pianist Inon Barnatan, violinist Sergey Khachatryan and percussionist Colin Currie. Also in 2018-19 she performs Shostakovich’s Second Cello Concerto with the Gothenburg Philharmonic, Orquesta Nacional de España, Orchestre de Chambre de Lausanne, Valencia Orchestra, and Toronto Symphony, and tours the U.S. playing Dvořák’s Cello Concerto with the Czech Philharmonic led by Semyon Bychkov. She performs the Schumann Concerto, Saint-Saëns’s First Cello Concerto, Britten’s Symphony for Cello and Orchestra, Richard Strauss’s Don Quixote, and Bloch’s Schelomo in cities from San Diego to Vienna. 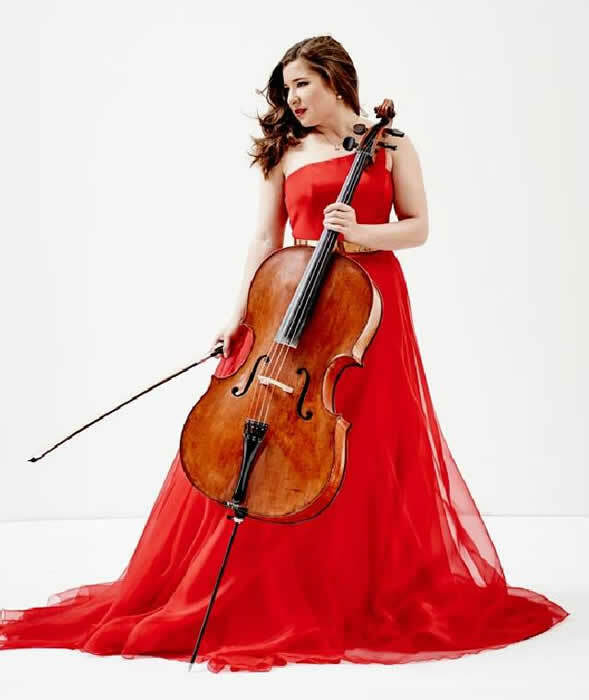 Finally, she gives two performances, with the composer leading both Copenhagen’s Danish National Symphony Orchestra and the Cincinnati Symphony, of Matthias Pintscher’s new cello concerto Un despertar (An Awakening), which was written for her. Between orchestral engagements she will perform Bach’s complete cello suites in Boston (Celebrity Series), in Paris (the Saint-Denis Festival), the Elbphilharmonie in Hamburg and for Cal Performances in Berkeley. 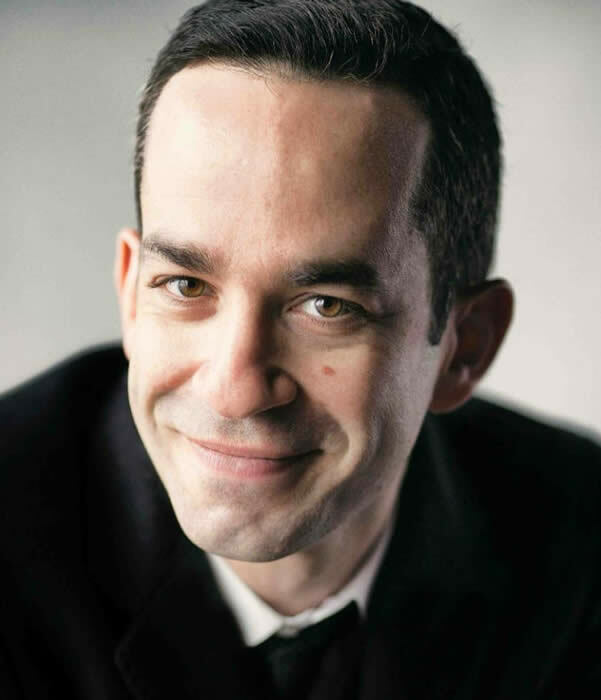 “One of the most admired pianists of his generation” (New York Times), Israeli pianist Inon Barnatan is celebrated for his poetic sensibility, musical intelligence and consummate artistry. He was recently named Music Director of the La Jolla Music Society Summerfest, beginning in 2019, and just completed three seasons as the inaugural Artist-in-Association of the New York Philharmonic. After recent debuts with the Leipzig Gewandhaus Orchestra, Hong Kong Philharmonic, and Chicago, Baltimore, and Seattle Symphonies, he performed with the Los Angeles Philharmonic at the Hollywood Bowl and made debuts with both the London and Helsinki Philharmonic Orchestras. In recital this season, Barnatan returns to venues including Wigmore Hall, the 92nd Street Y and Southbank Centre, besides making Carnegie Hall appearances with soprano Renée Fleming and regular duo partner Alisa Weilerstein. A sought-after chamber musician, he appears regularly with the Chamber Music Society of Lincoln Center. His commissions and performs works by many living composers, including Thomas Adès, Sebastian Currier, Avner Dorman, Alan Fletcher, Joseph Hallman, Alasdair Nicolson, Andrew Norman, and Matthias Pintscher. “A born Schubertian” (Gramophone), Barnatan’s critically acclaimed discography includes Avie and Bridge recordings of the composer’s works, as well as Darknesse Visible, which earned a coveted place on the New York Times’ “Best of 2012” list. His most recent CD is a live recording of Messiaen’s 90-minute masterpiece Des canyons aux étoiles (“From the Canyons to the Stars”). His 2015 Decca Classics release, Rachmaninov & Chopin: Cello Sonatas with Alisa Weilerstein, earned rave reviews on both sides of the Atlantic. 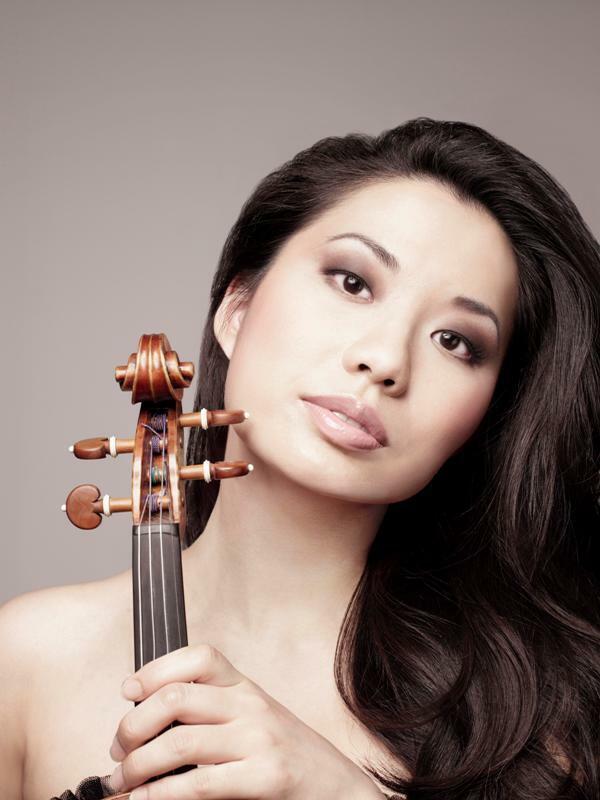 Violinist Sarah Chang is a star performer at the top of her game. She performs with such major orchestras as the New York Philharmonic, the Philadelphia Orchestra, the Berlin Philharmonic, the Vienna Philharmonic Orchestra, the Royal Concertgebouw Orchestra and the London Symphony Orchestra, led by such conductors as Sir Simon Rattle, Gustavo Dudamel, Charles Dutoit, Mariss Jansons, Kurt Masur, Zubin Mehta, Valery Gergiev, Bernard Haitink, James Levine, Lorin Maazel, Riccardo Muti, André Previn, and Michael Tilson Thomas. She has given recitals at the Kennedy Center, Orchestra Hall (Chicago), Symphony Hall (Boston), the Barbican Centre, the Philharmonie (Berlin) and the Concertgebouw (Amsterdam). Chamber music partners include Pinchas Zukerman, Vladimir Ashkenazy, Yefim Bronfman, Martha Argerich, Leif Ove Andsnes, Stephen Kovacevich, Yo-Yo Ma, Lynn Harrell, Lars Vogt and the late Isaac Stern. Ms Chang has had some extraordinary recognition: Yale University has named a chair in Sprague Hall in her honor, in 2006 Newsweek named her as one of the Twenty Top Women in Leadership and, in 2008, she was named as a Young Global Leader by the World Economic Forum. In June 2004 she carried the Olympic Torch in New York, and in the same month became the youngest person ever to receive the Hollywood Bowl's Hall of Fame award. In 2011, Ms. Chang was named an official Artistic Ambassador by the United States Embassy. 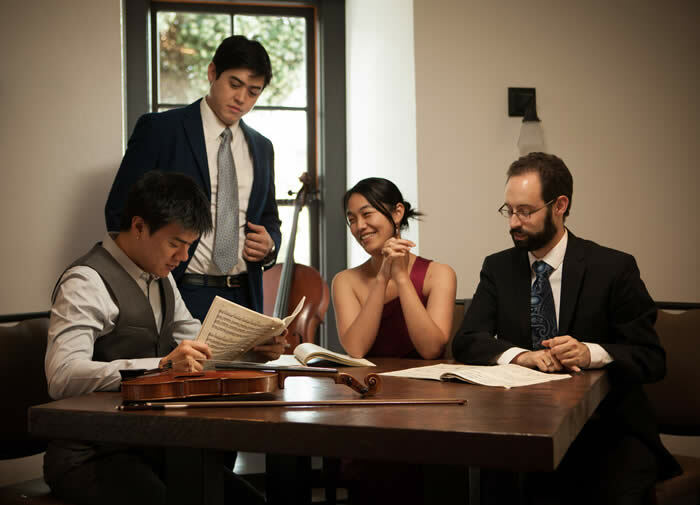 The excellent young Telegraph Quartet, awarded the prestigious 2016 Naumburg Award, tours regularly and has performed at Carnegie Hall as well as at such festivals as Chautauqua and the Emilia Romagna Festival. They are currently Quartet in Residence at the San Francisco Conservatory of Music. American pianist Jon Nakamatsu is a true aristocrat of the keyboard, whose playing combines elegance, clarity, and electrifying power. 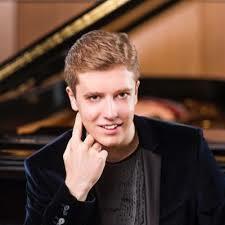 He burst upon the scene as Gold Medalist of the 1997 Van Cliburn Competition. Nakamatsu was immediately in hot demand, and has appeared at Carnegie Hall, Lincoln Center, the Kennedy Center and in Boston, Chicago, Cincinnati, Paris, London and Milan, as well as a performance at the White House. He has collaborated the Brentano, Tokyo, Kuss, Jupiter and Prazak String Quartets, as well as the Berlin Philharmonic Wind Quintet. He also tours regularly with clarinetist Jon Manasse as the Manasse/Nakamatsu Duo, and the pair are also the Artistic Directors of the Cape Cod Chamber Music Festival. Mr. Nakamatsu records exclusively for harmonia mundi usa, which has released thirteen of his CDs to date. His all-Gershwin recording with the Rochester Philharmonic rose to number three on Billboard's classical music charts and earned extraordinary critical praise. 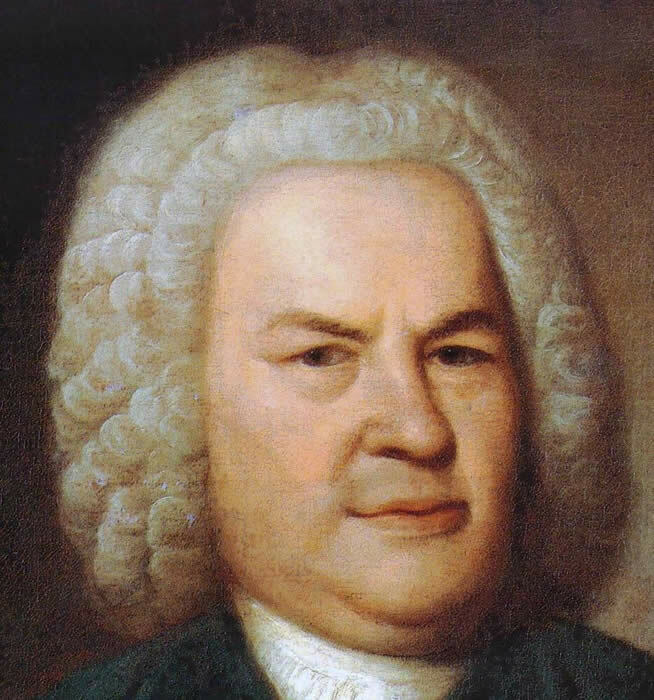 Other acclaimed releases include an all-Liszt disc and a Rachmaninoff CD, including the 3rd Piano Concerto and the Rhapsody on a Theme of Paganini. Mr. Nakamatsu and Jon Manasse’s 2008 recording of Brahms Clarinet Sonatas was chosen by the New York Times as one of its top releases for the year, and a disc released in August 2012 features the Tokyo Quartet playing two Brahms quintets: the Clarinet Quintet (with Mr. Manasse) and the Piano Quintet. Of his 2014 solo disc of Schumann works, BBC Music Magazine states that "Nakamatsu clarifies Schumann's textures to a remarkable degree, reveling in its fantastic imaginings with rapier-like precision and effortless command." 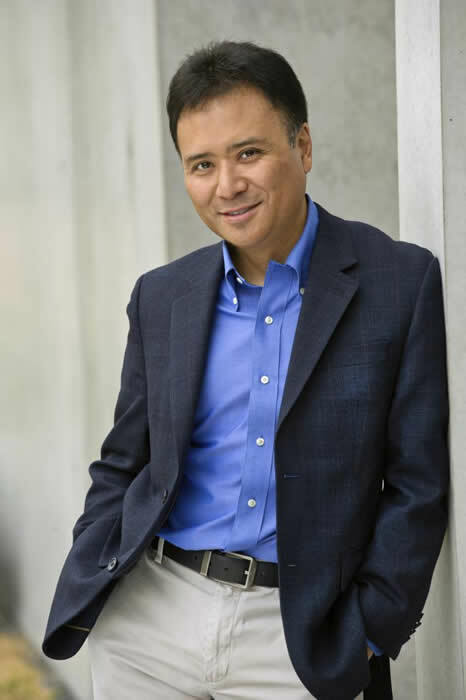 Jon Nakamatsu has adjudicated several international piano competitions and has been guest speaker at such institutions as the Van Cliburn Foundation, Stanford University and the Juilliard School. He currently teaches at the San Francisco Conservatory of Music.